Excited to be working with Mallary Hope to spread the word about her new debut album "Out Of My Hands". She has been making music since I was nine years old!! Her passion, faith and positive outlook on life resonates through her songs. Everything about these songs have me feeling connected and upbeat in one manner or another. Sometimes it is just the ideal that " you are not alone" in this world that make you feel good! 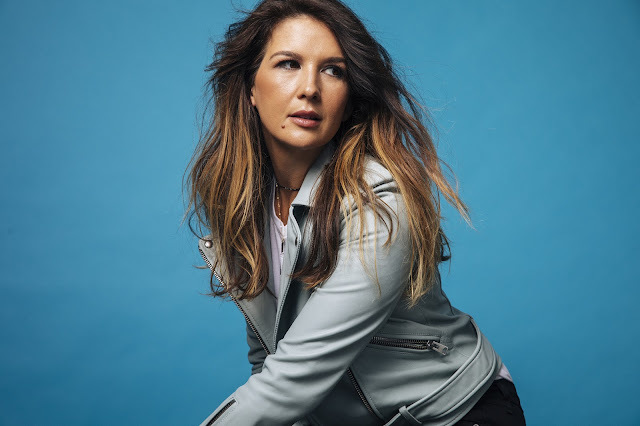 I grew up on Christian music from artists like Rebecca St. James, Sonicflood and DJ Talk. As I have gotten older I have passed my love of the genre to my son. Finding great artists is vital to fuel this passion. I hope you enjoy her album as much as we have, it comes out April 26th, 2019!! This is a collaboration post, I was not required to write a positive review. The opinions I have expressed are my own. I am disclosing this in accordance with the FTC Regulations. My personal favorites are "Me" and "Lay it down". Have you ever felt labels people have put on you or you’ve been judged for being who you truly are? Maybe you are fighting to not let your past define your future or you are just struggling to love yourself?? The song "Me" has the message of “It’s Ok To Be Me” and I love that!! We all struggle but with grace, faith and forgiveness we can move forward. Listening to this type of inspirational music is not only calming but puts you in the right frame of mind! The other song that really resonates with me is "Lay it down". I carry so much of my past and present in my every day life. I worry, house regrets and just overall feel so alone at times. This song remind me "you are not alone" and to cast our troubles to Jesus for strength and guidance. What songs are you excited to listen to?? REMEMBER her album comes out April 26th, 2019!! 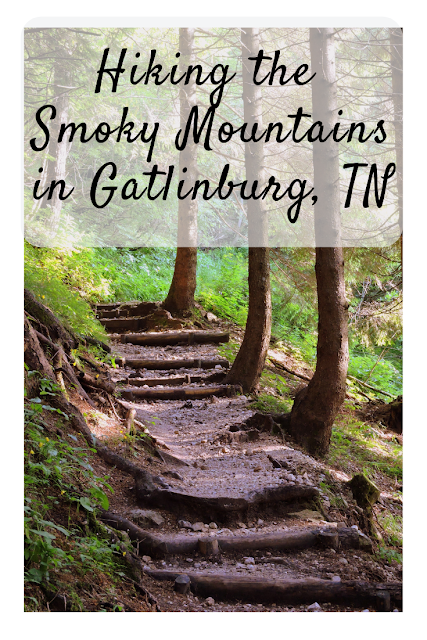 The Smoky Mountains have such a special place in our hearts. We found this little gem before it became the big touristy town it is today. 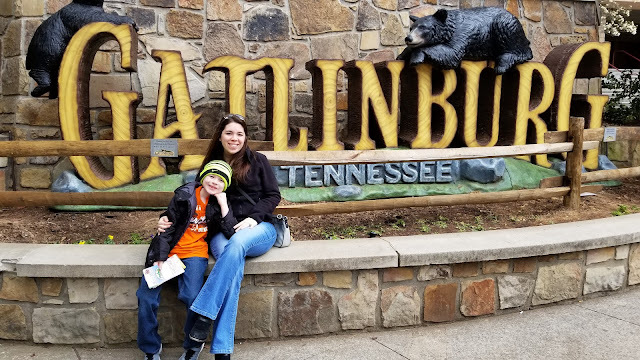 While the area has so much to offer guests, I will say the Mountains are by far still our favorite part when traveling to Tennessee. The National Park surrounds three side of the Gateway city Gatlinburg so finding it is pretty easy. What is so fascinating about this particular National park? You can explore fantastic scenic views, historic homesteads, natural creations and splendid waterfalls that are simply breathtaking. There are over 50 marked trails, that you can find new things to explore each time you visit. Each trail is marked and you can bike, hike or some you can even drive through! Just stop at the Visitor's Center and they can help you plan your itinerary for that particular day/visit. A few we have been luck enough to explore: Abrams Fall Trail, Rainbow Falls, Chimney Tops Trail and Cove Mountain Trail. 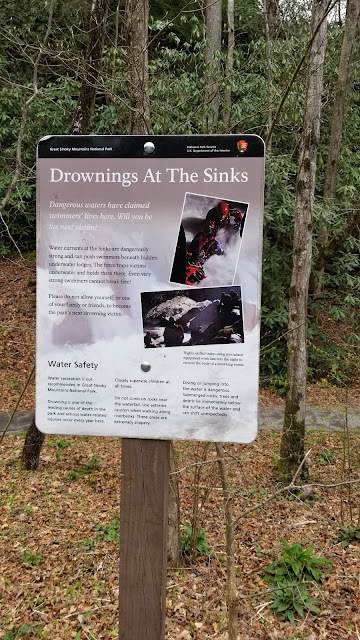 When we first visited the Smoky Mountains you could "Cliff dive". After returning last Spring (2018) the area has been closed off due to drownings. This is a good time for me to suggest you do your research about the trails, swimming areas and pack accordingly. Wildlife lives here and they are not used to people. Whitetail deer, turkeys ,black bear and coyotes are frequently spotted here. Keep alert and remember to keep your distance. 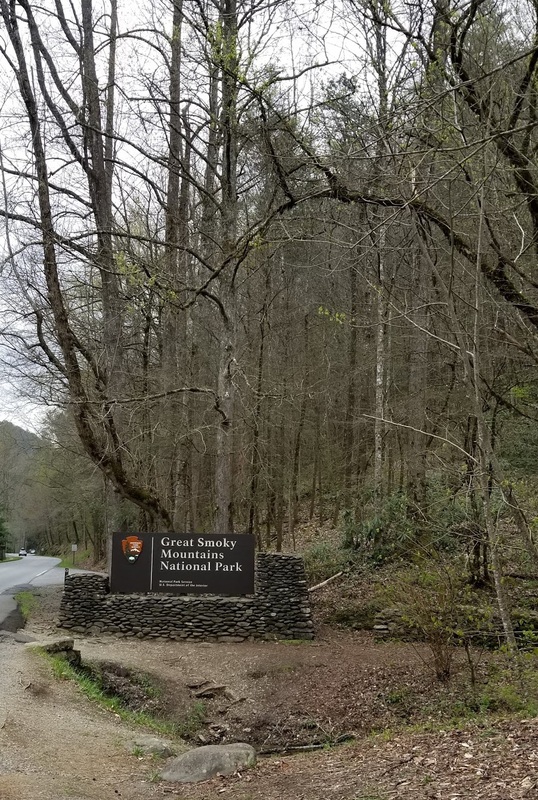 You’ll want to bring a camera, walking stick and a pair of binoculars, to see all the wildlife here at the Great Smoky Mountains National Park. If you visit the Sugarlands Visitor Center they offer a free 20-minute orientation motion picture that provides an in-depth look at the Smokies. Natural history exhibits include mounted specimens of park animals in recreations of their habitats. 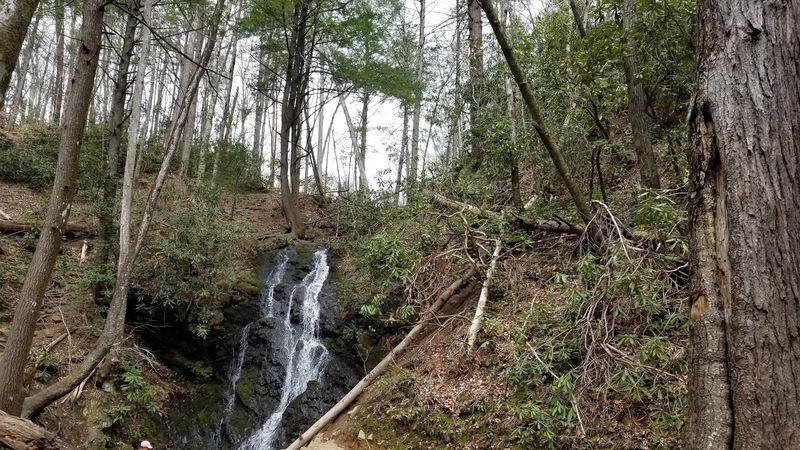 You can also visit the Laurel Falls, a beautiful waterfall located off Little River Road. While I have pictures of this particular waterfalls I am not sharing it in this post because I really want you to experience it for yourself! Ranger talks are provided daily they even do the Junior Ranger program. Which is a free and educational adventure programs that encourages animal explorations, scientific investigations and more. These programs are usually led by park rangers but geared toward kids ages 5-12. No matter how many times you visit this area each time will be different. If you are entering from Galinburg might I suggest leaving in the morning to beat the rush of tourists and stopping for breakfast at Crocketts Breakfast Camp!! This place is always packed so making a reservation is highly recommended. Bring with you lots of water, comfortable clothing, walking shoes, sunscreen, bug spray and a hat or sunglasses. 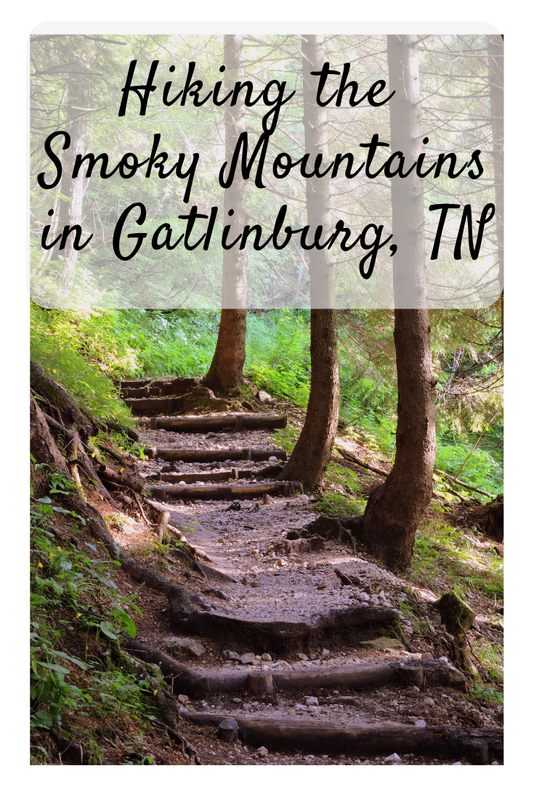 Have you ever hiked the Smoky Mountains?? What trail is your favorite?? I have been really trying new recipes these past few weeks. My dinner ideas have been overused since we stopped eating out as much. I take no credit for this tasty dish because I stole it after a dinner at my Mother-in law's house! You can make these bland or spicy whatever you or family enjoys. I found cooking my meat in the crock-pot saved time but you can brown/cook in a pan instead. I found this Enchilada Sauce at Aldi. She uses Oretega and I honestly prefer that kind. This sauce was "ok" but more on the bland side. These are my opinions so please do what fits your family! Place chicken breasts and one can of sauce to your slow cooker. Place on Low for 4-6 hours. Pour the other can of Enchilada can in your oven pan. Once the chicken is cooked place in your tortilla wraps. Roll them up and place on the sauce. Sprinkle cheese on top and bake for 20-30 minutes at 365 degrees. 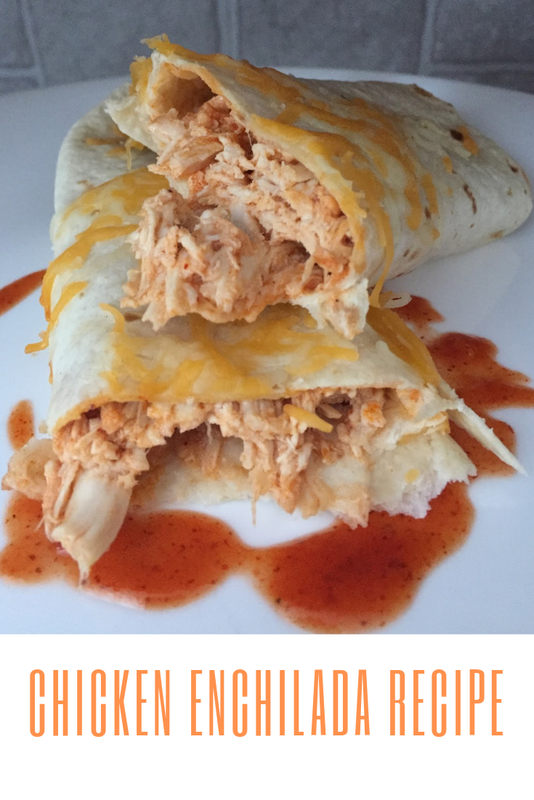 Have you ever tried Chicken Enchiladas before?? Let me know in the comments how you make it or what sauce YOU use!! 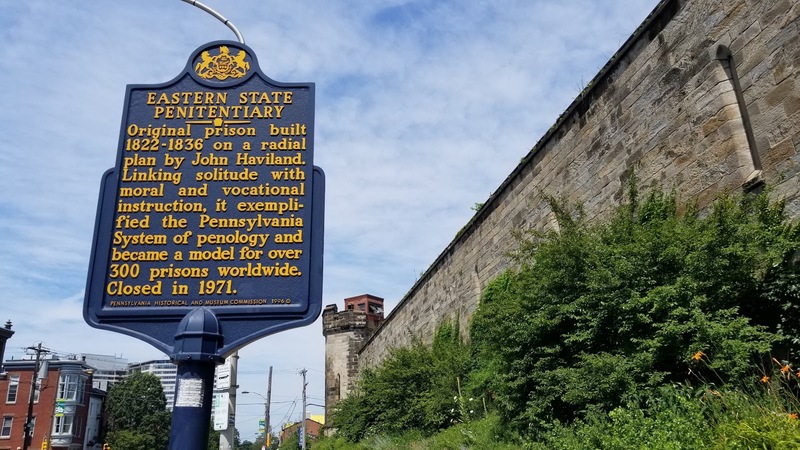 Today I am rather excited to write my thoughts on a place we have wanted to visit for years, the Eastern State Penitentiary in Philadelphia, PA! My son has been a very timid boy ever since he was real little. This changed while in Pigeon Forge after we visited a Prison themed Museum, the Alcatraz East Crime Museum in Pigeon Forge, TN. 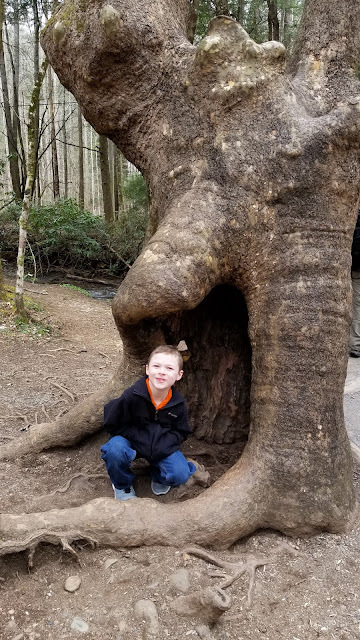 He was completely upset with the idea and had a pretty good meltdown before we even went in. With A LOT of convincing he finally decided to give it a go. It ended up being the BEST attraction we visited on that particular trip! As we were walking around he spotted a picture of the Eastern State Penitentiary. He literally drug me over to the photo of the prison cell and made me promise to visit if we ever had the chance. Secretly we have wanted to visit for some time so that was an easy "compromise". The Eastern State Penitentiary is located in downtown Philadelphia. 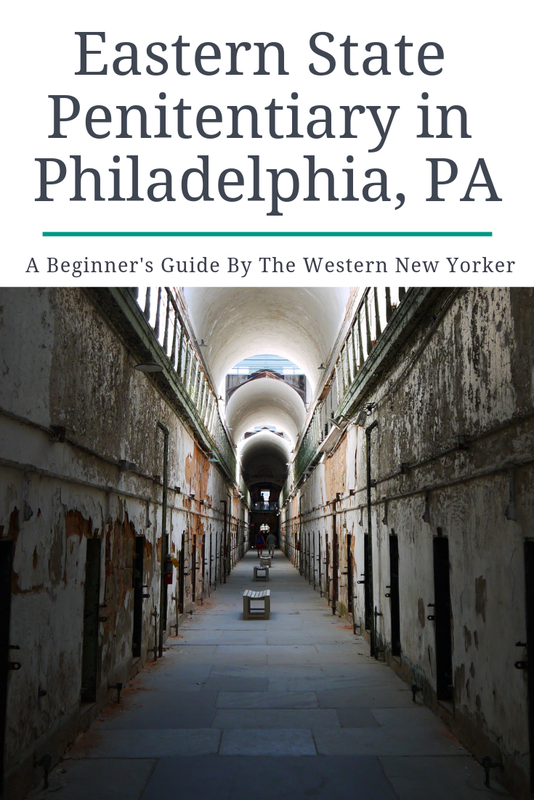 If you are visiting the area enjoy my Helpful Guide To Philly here. We arrived via a bus tour because it was a rather long walk from our hotel. They will offer you headsets to narrate your walking tour before you enter. These allow you to walk around at your leisure and giving you all sorts of history. If you have little one's I would suggest picking up a "Scavenger Hunt" pamphlet, pictured above. Since it was EXTREMELY hot the day we visited we ditched lugging around three sets of headsets, took only one and participated in the "Hunt" with our little guy instead. This particular prison was made to "straighten" even the most villainous inhabitants out. With their concentrations on therapy of pure isolation. Each cell mate was given a bible. Unfortunately, most of them lacked the ability to read and basically went mad from no social contact. In some parts you can almost feel the eerie isolation that haunts these depressed walls. If you are planning to visit I need to stop and suggest a few things. This is a POPULAR destination. Crowds of people come here. Coming in non-peak hours would be your best bet on beating the LARGE crowds. We selected the very opening of the prison and had the place pretty much to ourselves. If you are not a morning person try picking times when people usually eat. Although if it is a humid day plan to go early. It was 100 degrees the day we went. While they have 2 air conditioning rooms the prison itself is STUFFY, STICKY & HOT!! Bringing water to stay hydrated isn't such a bad idea either. I suppose you could argue it gives you the authentic feeling of what is was like for the inmates but if you are like me and would rather skip the heat waves just plan accordingly! The cells are pretty small. Some areas allow you to walk in them while others are to deteriorated and would be a safety issue. We enjoyed the different displays around the different wings of the prison along with all the decay. You really could spend hours just walking around this place. While in the A/C controlled rooms we planned out where we would find our next challenge piece from our pamphlets. It was so much fun because they are not as easy to find as you might think! What hit home a few times was talk of the young prisoners. Having a son myself, it was very hard to see the places where they were kept. Luckily the employees tried to lighten the mood by allowing him to open different cell door locks with old keys that were once used. I am extremely glad we went as a family. 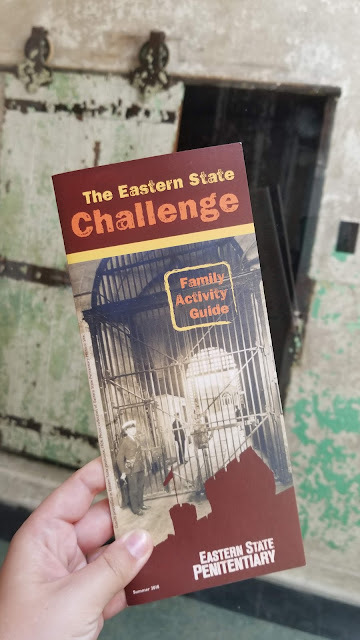 We learned a lot about the area, the prison life and consumed so much history! If you like creepy, prisons full of rich history this is a MUST see!! It will NOT disappoint you in my opinion. Worth a visit if you are in the area. 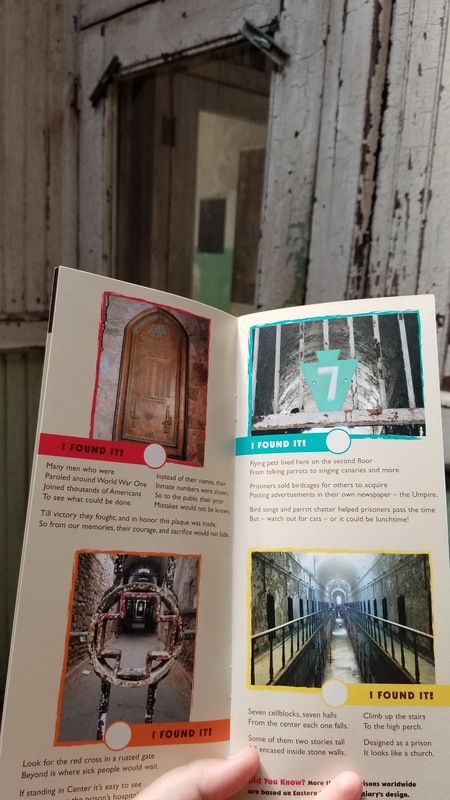 Have you ever been to the Eastern State Penitentiary in Philadelphia, PA?? Let us know about your visit in the comments below!! Anyone else enjoy learning about our history? Before we visit an area I enjoy brushing up on the area. Since my son is school age we make it a family affair. Together we learn all sorts of things. 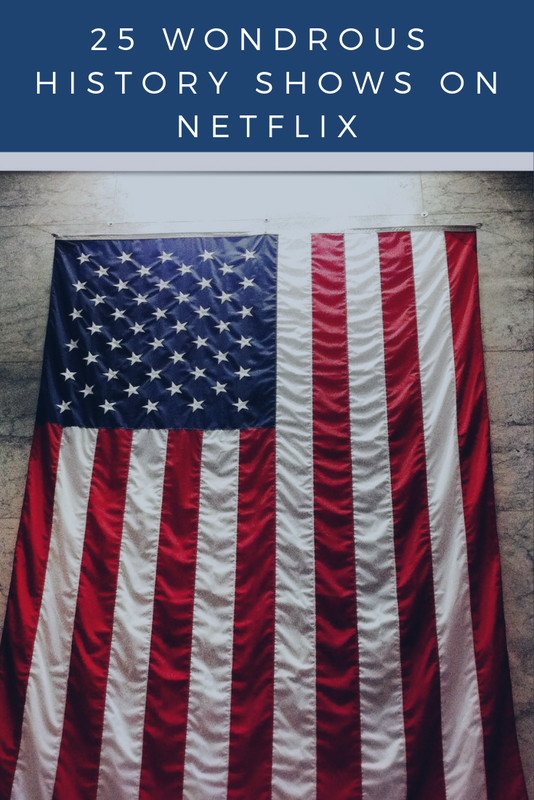 So enjoy some of the Wondrous History Shows on Netflix. Do you have a favorite History Show or Movie?